What is the future of the CPA License? Should the CPA Licensing model evolve in the midst of the massive changes and trends in the marketplace? 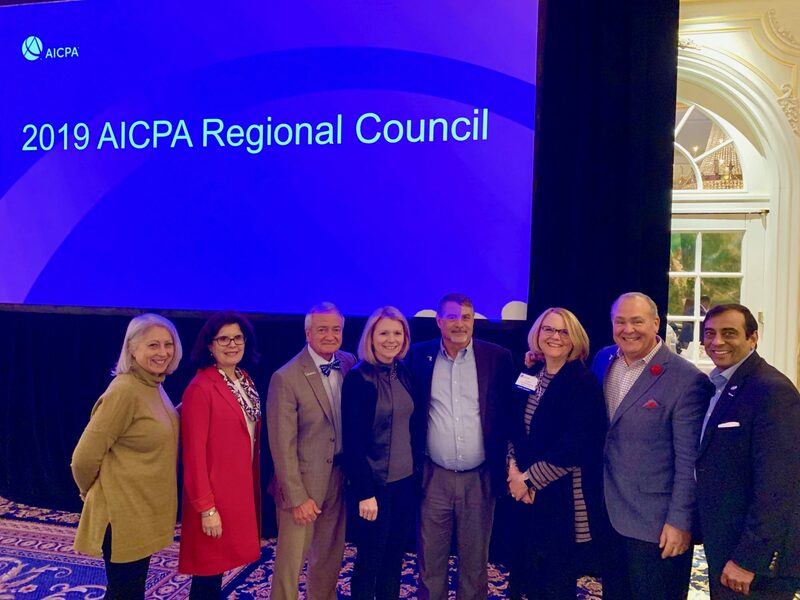 Last week we traveled to NYC with our representatives to the AICPA Governing Council, the governing body of the AICPA, to imagine and discuss possible future changes to the CPA License. This has been a multi-year process starting in 2017 as the CPA Pathways Project and after feedback re-starting as the CPA Evolution Project. New CPA numbers are declining and accounting majors are down due to competition from STEM and specifically technology majors. The number of non-CPAs working in CPA Firms are almost 3 to 1 (and this is not limited to large firms). The Hard trends of technology like AI, machine learning, RPA, and Data Analytics are impacting audit, tax, and accounting at an exponential rate. There was a robust discussion of the implications of these ‘hard trends’ and how can we continue to attract the best and brightest to our Profession. While this was a closed session to get input from Council members, soon we will be exposing these thoughts in our townhalls and with our Board of Directors to get our member feedback to send to the AICPA for consideration. Another major part of the meeting was an update on the changes in regulations and laws, many of which are playing out in the state legislatures across the country. De-regulatory threats to licensing of our Profession and others has popped up in over nineteen (19) states including our neighbors in Virginia and West Virginia. This is an effort to eliminate perceived barriers to consumer access to services and has swept in CPAs, Engineers, Architects, and even Docs! Fortunately, these legislative proposals have been stopped but the fact that so many came up so fast has us collaborating across our states, the AICPA, NASBA and the Accountants Coalition. This is high on our radar and has not shown up in our Maryland legislature so far this year. CPA Firm License mobility was also discussed as we had both our our bills (House & Senate) pass their respective chambers and making their way to enactment by end of session in the next two weeks. Other legislative and regulatory items included sales taxes on services, comprehensive definition of attest, marijuana and cannabis laws, along with the numerous employment laws showing up around the country (ban the box, NDAs, etc). We are in the midst of our legislative session in Maryland and will be bringing you a full update this spring. I hope to see you at one of our upcoming Spring Town Halls to get your feedback and perspectives on how our Profession and you can thrive in the Fourth Industrial Revolution. Sign up now at one of these meetings here. This is why we say our purpose is to Connect, Protect, and help you Achieve success in your career as a CPA by helping you be even more #FutureReady.